Row 1 (Wrong side): Purl all sts. Row 2 (Right side): Knit 1, * knit 2 sts together but do not drop from left-hand needle; then knit the first stitch and slip both together from the needle; repeat from * to last st, knit 1. 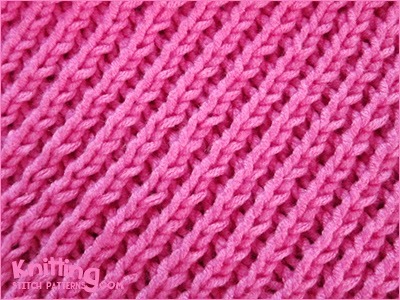 Row 4: * Knit 2 sts together but do not drop from left-hand needle; then knit the first stitch and slip both together from the needle; repeat from * to end.